Passover Cooking with Nina Safar - Kosher In The Kitch! Passover Cooking with Nina Safar - Kosher In The Kitch! Learn how to make delicious passover food with Nina Safar! 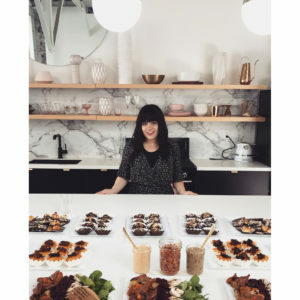 Find out how to make Feta Cranberry Salad, Spaghetti Squash with Quinoa Meatballs and Cheesecake Brownies with Nina Safar filmed for Perez Hilton’s Fit Perez.